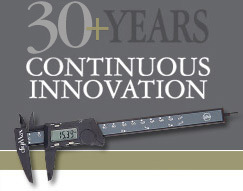 ESI has been supplying top quality downstream extrusion equipment to fortune 500 companies since 1981. ESI provides a wide range of surface finishing equipment for the application of brushed, embossed or stamped textures to extruded profiles. Surface finishing systems are available in both single-up and multi-strand configurations and can be supplied for either in-line or off-line texture applications. Machines designed to apply texture to multiple surfaces simultaneously are also available. All ESI surface finishing equipment is designed to provide long term, trouble free service in a user-friendly platform. We invite you to browse through this sampling of ESI's surface finishing equipment with the realization that, in many cases, the requirements of these specialized applications require modified or custom designed machines. Through our in-house design engineering capabilities, and many years experience in providing surface finishing solutions, ESI can provide engineered solutions designed around the specifics of your surface finishing needs. Use ESI's embossers to create patterns on your plastic or composite profiles. These machines are often utilized for embossing wood grain patterns on composite or foamed PVC decking profiles. Our heavy-duty, two-post assembly embossing stands can be custom designed to meet all your in-line or off-line processes to one, two or four surfaces of your profile. Options include driven or non-driven rolls, electrically or hot oil heated rolls, single strand or multi-strand designs, various width or diameter rolls, pre-heaters and automatic roll movement for ‘random’ patterns. Do you have questions about our products? If so, talk to one of our friendly and knowledgeable technical advisors. Just ask for Sales and Support when you call 800-633-1861. We have made every effort to ensure the accuracy of our capabilities and product information. If you do not see what you are looking for are looking to create the next phenomenon that has yet to exist, call us today, we offer world leading companies unique and custom extrusion machinery.